I was surprised by my Phonepal, makeup artist and sweet blogger friend, Sabs Hernandez when I received a message from her regarding this newest release from Snoe Beauty. 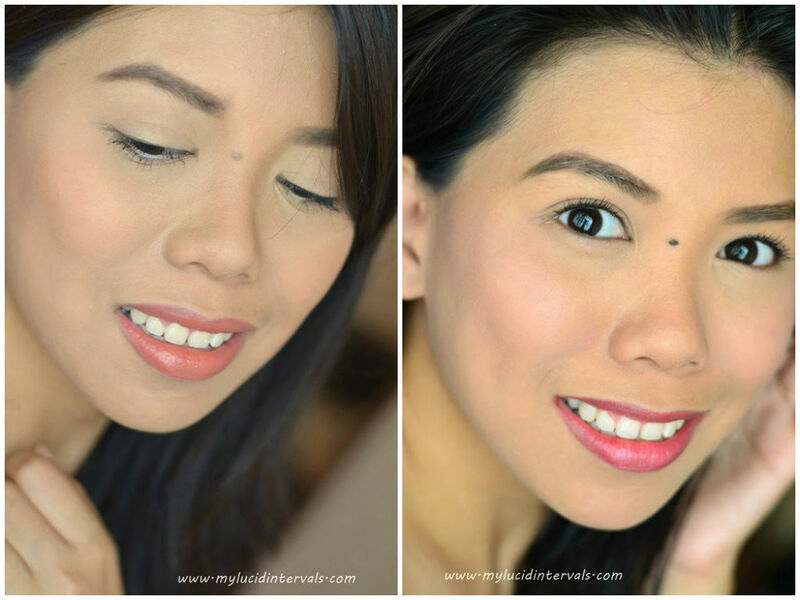 Snoe Beauty offers the newest Sabstance Blushes in collaboration with Sabs Hernandez. Sabstance offers a wide range of highly pigmented powder blushes. This line comes in ten shades: Joy, Patience, Courage, Hope, Just, Faith, Respect, Love, Honor and Wisdom. These blushes come with a puff and a is housed in a cute pink compact with mirror. Reading through the ingredients with Acai Berry, Pomegranate and Amazonian Clay, I can't help but think of Tarte's Amazonian Clay Blush. :) Now, this is our proudly Pinoy version right here! The packaging is very sleek and portable. I like the mirror included in it and it contains 8 grams of product. I am not a fan of the puff included in it. I always prefer using a blush brush in applying my blushes to prevent any streaky or excessive application. I got two shades Patience and Hope. I was fervently hoping that I would receive (errhmmm...all shades?. asa!kidding) the dark mauvey pink shade because the fall season is here. I fell in love with Patience. The color screams "ito gurl ang perfect sa skin tone mo!!" haha I dismissed the thought of wearing Hope when I saw the blue tone pink shade. It looked so cool toned on the pan I was dead sure that it will not look nice on me. Patience is light peachy/orange hue. This is perfect for those with warm skin tones. It looks so flattering on me and gives me that glow on my cheeks. It reminds me of my MAC Melba Blush. Hope is a cool toned medium slightly purplish pink. On the pan, it looks abundantly blue toned on so many levels. Diba? Once applied on my cheeks, it turns into one of my most wearable pink that doubles as a brightener on my medium skin tone. Everytime I wear this, Mestizang hilaw ang peg ko. These blushes are very pigmented. I just need a light swirl on the pan to get my desired coverage. These blushes are very soft and blendable. They are quite long lasting which can last up to 4 hours on me without retouching. 1. The Snoe Sabstance Blushes has 10 shades to choose from. 2. The blushes are pigmented but blends naturally on my skin. you can refer to my photos above. 3. The blushes are blendable and easy to apply. The sponge applicator is somehow useful but I still prefer using my Ellana stippling kabuki brush to apply pigmented blushes for that soft airbrushed finish. 4. This lasts 3-4 hours on me. By lunchtime (in the office), I would less likely retouch because the colors stay put on my cheeks by leaving a faint natural flush on me. 5. The packaging is very compact and it has a small mirror. This is perfect for women who loves retouching and those who do their makeup inside the car or public utility vehicle/mrt (ahem). 6. These blushes are made of skin friendly ingredients such as Amazonian clay, Acai Berry, Acerola Cherry and pomegranate. 7. I am not a blush addict because my cheeks tend to develop rashes through repeated/daily use of blushes, so, I skip it once in a while and play with lipsticks instead. This blush did not cause me any rashes or breakout that is why I love using it for everyday wear. 1. For a local brand, the price is quite steep. 2. My blush in Hope crumbled (without me dropping it) easily. Waahh..Thanks to Alcohol, I immediately resurrected it. 3. No shade name written on the compact. Overall, these blushes are currently a mainstay in my makeup kit. I have been using them for almost the whole month of September. I highly recommend this blush to those with sensitive skin because of its skin friendly ingredients and the fact that it did not cause me any rashes, these blushes are worth raving for. both are nice shades but hope is beautiful and looks good on your face too. Patience looks so pretty!! i want it!! I like patience more than hope... patience looks better on you!!! snoe products are great,love the shade of pink! it's nice to know that they're pigmented, but I have to agree with you, I find them too pricey for a local brand. Hope really looks better on you. I initially thought Patience would look better pero the brightening effect of Hope was just amazing! nice name for a powder blush,. I want to try the Snoe Blush in Patience beacause I dont have so many blushes on me and I think that peachy color suits my morena skin well! I love this post! I also love SNOE products. Actually nung 1st time ko bumili ng product ng snoe bumili din ako ng double sided lighted vanity kind of mirror sa goods.ph para sa room ko. Perfect combination sila kasi makikita mo ung result nung product e talagang effective at maganda sya lalo na sa facial care. Please help me graduate by answering the survey questions for my thesis "Snoë Beauty: Brand Image and Self-Concept on Consumer Purchasing Behavior of Women When Buying Natural and Organic Beauty Products". I would greatly appreciate you helping me out. All information will be used for academic purposes only.